The aim of this workshop was to train researchers to sniff out (literally!) tiger signs in order to find suitable locations in the forest to maximise detections of tigers. Because if you place the cameras at bad locations, you get bad population estimates of tigers. 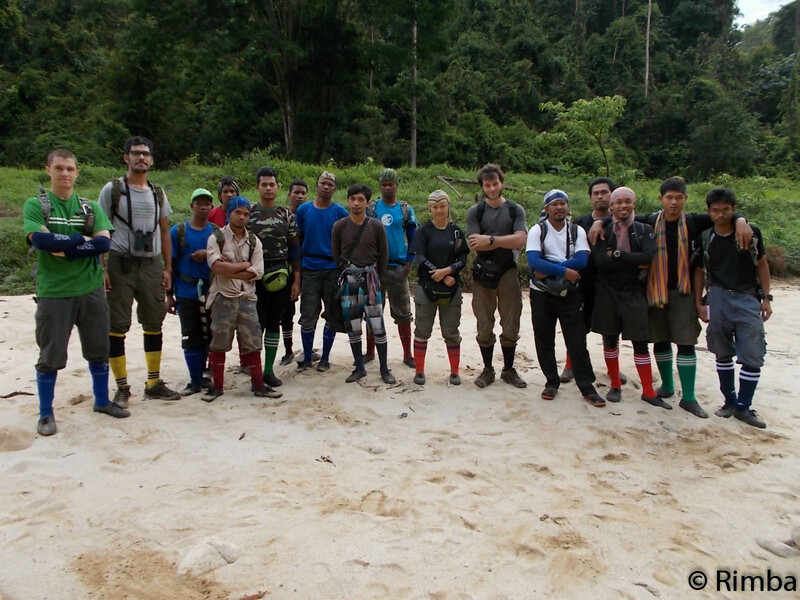 After being certified by Panthera as ‘tiger detectives’, the same researchers from both DWNP and Rimba spent a month scouring 600km2 of primary rainforest in the project Core Area encompassing Kenyir/Taman Negara for suitable camera trap locations. DWNP, Panthera and Rimba staff during the sign survey training. Panoramic view of the Core Area from a ridge. Rocky rivers aplenty in the Core Area. 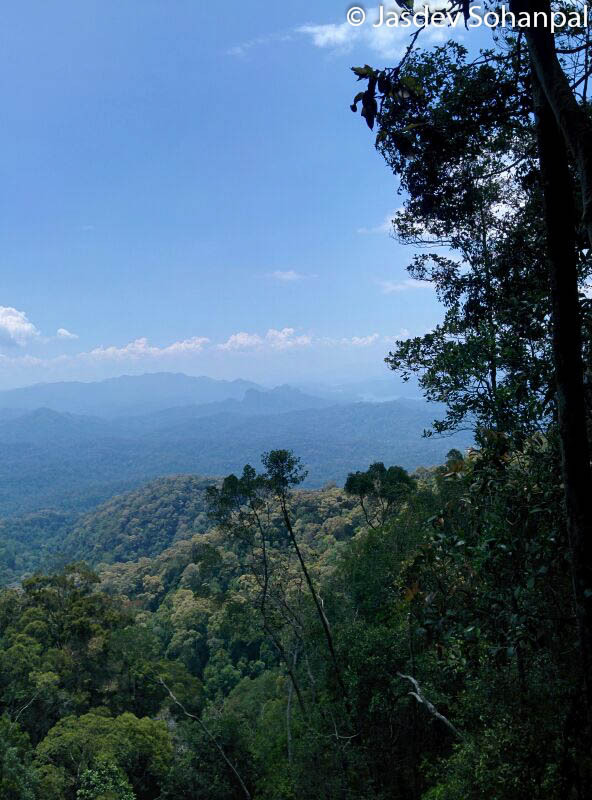 After close to 2 arduous months of sign surveys, the DWNP-Rimba team was finally ready to deploy 200 Panthera camera traps at strategic locations within the Core Area in June. While this process looked pretty straightforward on paper, it wasn’t! 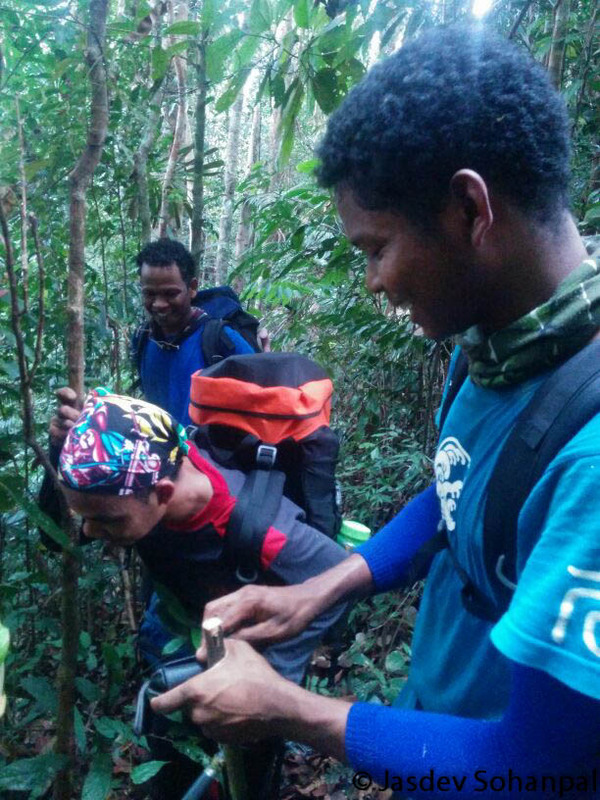 On June 2, one of our field assistants, Tuleng, got bitten on the calf by a Hagen’s pit viper (Parias hageni) while crossing a log. The deceased snake that bit Tuleng. 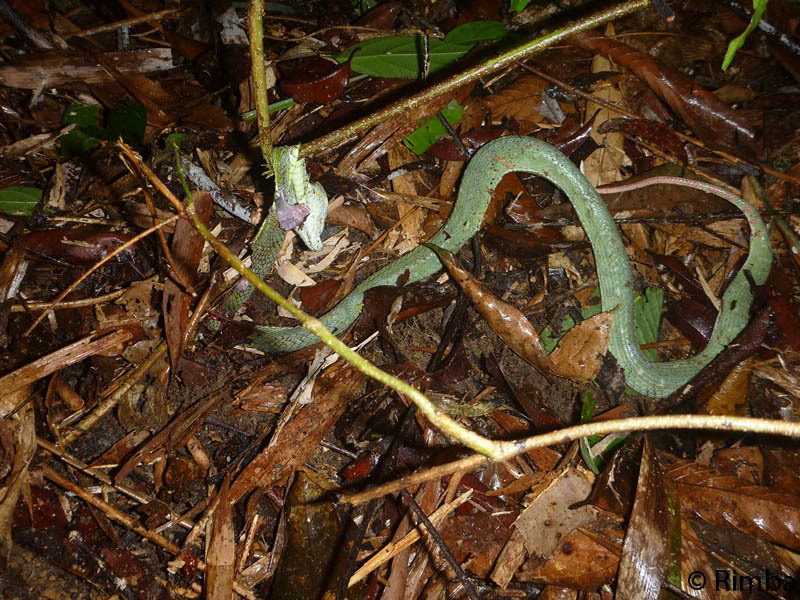 This pit viper injects a haemotoxin into its victims, which disrupts blood clotting and can cause organ damage. 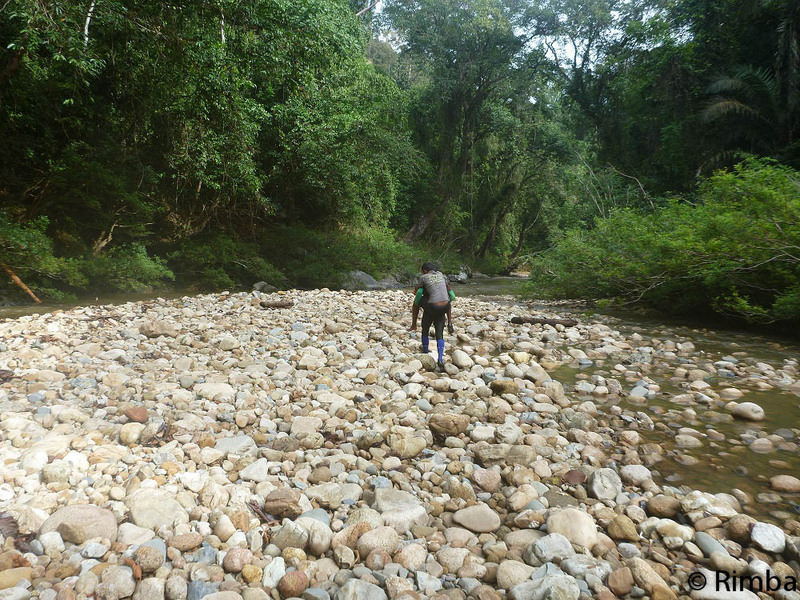 He had to be carried down a hill and across rocky streams to our boat, which delivered him from the project site to a jetty before he was ferried by car to the local hospital for antivenin treatment. This combined team effort took 8 hours. 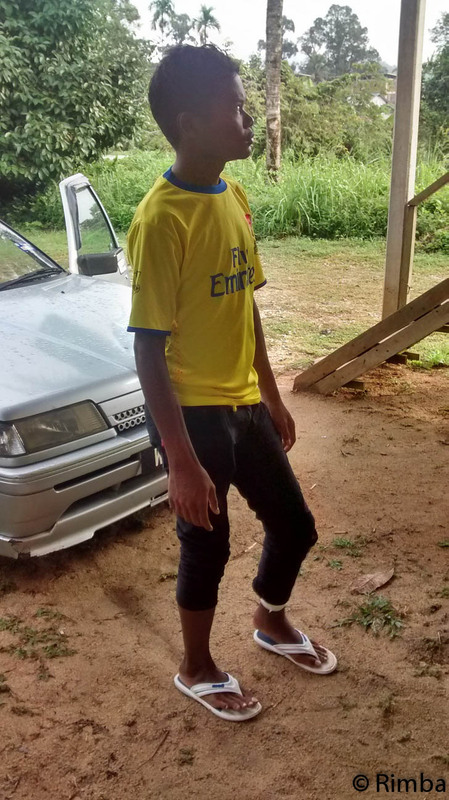 Many thanks to Wai Yee, Pak Salleh, Wee Siong, Ki, Edi, Prof. Dr. Faizah Sharoum, Dr. Arnie, Dr. Azli, Laurie, Jasdev, Rasul and Con McAfee for helping Tuleng get back on the road to his recovery. It was a long way out for Tuleng, who was piggy-backed by his mate for the most part of the journey. Tuleng spent the next 2 weeks recuperating, but he is now able to walk, albeit with a limp. The doctors said if all went well, his leg should be fine after a few weeks. However, this wasn’t the only medical incident during the camera trapping surveys. Tuleng is able to walk now but is still recovering. Over the duration of the last 4 months, we have had bouts of illnesses befall the team. Apart from Tuleng’s incident, the honour roll of major medical problems include: Reuben (scrub typhus), Wai Yee (stomach infection), Laurie (dengue), Jasdev (dengue) and Dollah (dengue). Thankfully, everyone has recovered. 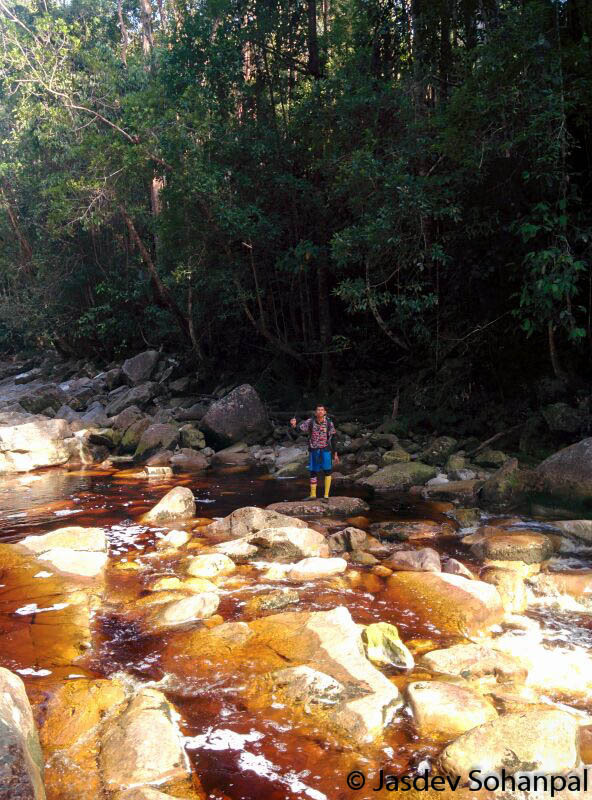 Despite the ordeals, the camera trap surveys were eventually completed by the end of June. Everyone is currently enjoying some well-deserved down-time. We cannot wait to see what our camera traps have photographed. Stay tuned folks! Thanks a lot for your support Jen! Yow! That’s amazing what you guys had to put up with! I think malaria is the only thing left not mentioned, although I hope that never happens. Thank you for your hard work!